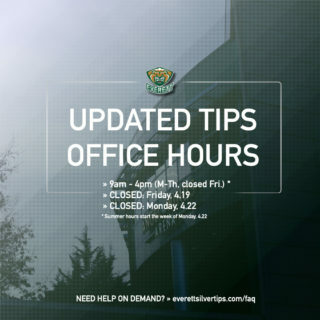 EVERETT, Wash. – The Everett Silvertips (@WHLSilvertips), two-time Western Conference champions and six time U.S. Division champions of the Western Hockey League, announced today their 2018-19 Pre-Season Schedule, and 15th annual schedule opening tournament as the Delta Hotels Preseason Classic in Everett begins pre-season play on Friday, Aug. 31. 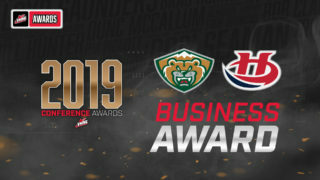 The Silvertips will open their pre-season schedule that night at 7:00 p.m. against the Tri-City Americans at Angel of the Winds Arena, a rematch of the 2018 WHL Western Conference Championship Series. 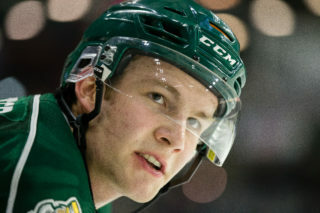 Tickets and ticket packages (Delta Hotels Preseason Classic in Everett) for all Silvertips pre-season home games will be on sale soon at www.everettsilvertips.com/tickets. Seating designation for all pre-season home games at Angel of the Winds Arena is offered on a general admission basis. For the entire pre-season, the Silvertips will play in a seven game schedule (four games at home). The Delta Hotels Preseason Classic in Everett will once again welcome the Vancouver Giants and all U.S. Division clubs to downtown Everett. 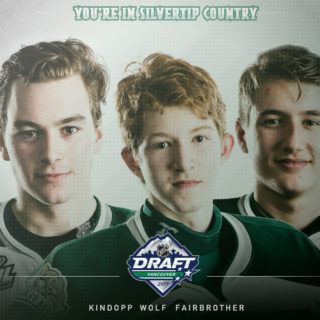 The three-day tourney, Aug. 31-Sept. 2, opens with a game at 11:30 a.m., follows with a 3:00 p.m. matinee game, and concludes each day with a 7:00 p.m. Silvertips game. Similar to last season, the Silvertips will see their U.S. Division rival Seattle Thunderbirds three times during the pre-season, and conclude the schedule with back-to-back games against the Thunderbirds, starting Tuesday, Sept. 11 at Kent Wash.’s accesso ShoWare Center and finishing Saturday, Sept. 15 in downtown Everett at 7:05 p.m. The regular season schedule for the 2018-19 season will be announced soon, offering full season tickets, 22-game, and 14-game plans for as little as $200 total per seat. 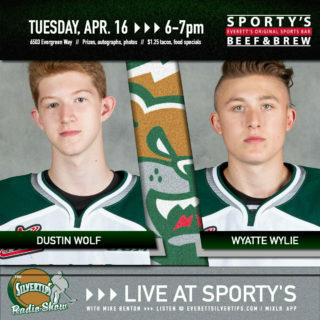 Deposits for $50 will secure a seat for the 2018-19 season, available at www.everettsilvertips.com/season or by calling (425) 252-5100.